Arlene L Gonzales, of Silver City passed away August 4, 2018 at Mountain View Regional Medical Center in Las Cruces, surrounded by her family. Cremation has been entrusted to Baca’s Funeral Chapels. A Memorial Service to celebrate Arlene’s life will be held at 10 AM on Saturday, August 11, 2018 at Calvary Baptist Church, 186 Bypass Road in Silver City with Pastor Eldon Fowler officiating. Inurnment of her ashes will follow at St. Vincent De Paul Catholic Cemetery. 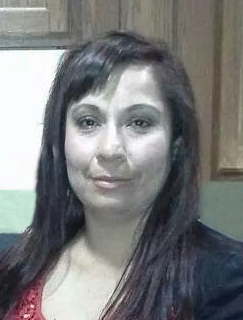 Arlene was born March 23, 1976 in Silver City to Martin Hernandez Sr. and Diana T Alcorta. She was an avid San Francisco 49er’s fan and loved a good time. Arlene was one who always put her kids first and made every one of her nieces and nephews feel so special. She will be missed by those who knew and loved her. Arlene is survived by her daughter, Candida Hernandez (Jesse); sons, Leo Gonzales (Julissa); Estefan Gonzales (Rayanne); Thomas Gonzales; Jordan Blackburn; and Billie Joe Blackburn. Parents, Martin Hernandez Sr. and Diana T. Alcorta; brothers, Martin Hernandez Jr (Shannon) and Henry Alcorta Jr. (Andrea); sister, Angel Alcorta-Gore (Brenten); Grandchildren, Zarina and Zariah Carpio and Zamarya Gonzales. Nephews; Livan, Ivan, Diego, Yovani and Dominyk; Nieces; Danity and Adriana. Arlene was preceded in death by her grandparents George T Trujillo, Sr., Virginia C. Rosales, Rosario and Viviana Hernandez; uncle Jose Trujillo (Wedo) and many more family members.